Sam Dryden had been better. He was unemployed, struggling with the tragic death of his wife and young daughter. He was unfocused and having difficulty sleeping, with inexplicable urges to go running in the middle of the night along the California coast. While out running one night, a young girl, no more than twelve years old, runs into him on the boardwalk. She's terrified, being chased, with no where to go. Sam is again struck with an inexplicable desire, this time to help. It soon becomes obvious that Rachel is in grave danger. The men chasing her have guns, advanced communications and techniques, and are very motivated to kill. Rachel's coincidental meeting with Sam seems too good to be true, at least for her. He misses his daughter. He has little to lose. And his background is uniquely suited to help her get away from her pursuers. Runner is the first of what is to become a series featuring Sam Dryden. It is is Patrick Lee's fourth novel, following three in the Breach series featuring Travis Chase. Runner is a non-stop science fiction thriller that will keep the most action demanding reader satisfied. 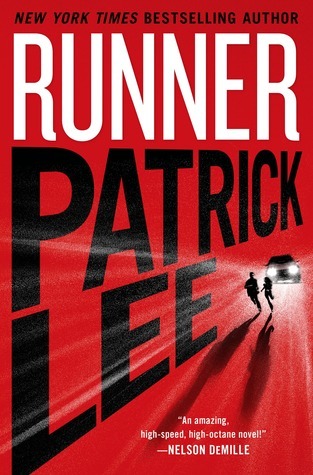 But Runner is more than just a page-turning, action-packed thriller. I was impressed in the relationships that were developed along the way. Sam and Rachel became close emotionally. Sam recognized that he could save her in a way he couldn't have saved his wife and child, but his helping Rachel was more altruistic, more organic, than just easing his conscious. Likewise, the comfort Rachel felt from Sam was more than her self-serving need to be helped and protected. "Sam's thoughts were unique. No matter what he was thinking at any one moment, there was a feeling that was always there, a feeling that seemed to be pointed right at her. It made her think of the warmth near a fireplace. That was how Sam's thoughts felt. Like protective heat. Like arms around her." A book is always better to me if it addresses some social or political issues of the day, even if indirectly and without taking sides. Intentional or not, Runner was not lacking in that area. The science fiction part dealt with altering genetic code and its consequences, how amazing the results could be, but how simultaneously disastrous and harmful to those who least deserve it. Government surveillance and the power of the military industrial complex were also underlying issues, as was implying the dangers of two defense contractors competing against each other to advance technology, at all costs, and with the blessing and assistance of the federal government. The science fiction involved the altering of some human genetic code, or more accurately uncovering a human gene that would give a person an ability that has long since been evolved away from. A reasonable explanation was given for why such an amazing skill was eliminated by natural selection, and why it would be so valuable today. However, those who had undergone the gene therapy were unable to use this special ability with each other. If this were the case, then before the gene was overwritten by the evolutionary process, it would have been unnoticed and useless because all or most humans would have had it; there would be no reason to change. Despite this, it only requires a little more suspension of disbelief to overlook that one issue and enjoy the entertaining, thrilling, and thought provoking story that Mr. Lee told so well. Mr. Lee is a talented author with the ability to do more than just tell a fast paced story. He can create an interesting and thought provoking plot and develop multidimensional and meaningful relationships among his characters. All of this is why I'm looking forward to more of the Sam Dryden series. Lee, Patrick. Runner, Minotaur Books, New York. February 2014. Runner was provided to The Thirty Year Itch courtesy of Minotaur Books. No compensation was received for this review.